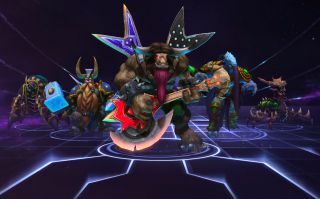 There are many important questions to be asked of Heroes of the Storm. Can Blizzard's attempt to take the rough edges off the lane-pushing genre produce a game able to compete against Dota 2 and League of Legends? Does such a game have any future in an e-sports capacity? Most important of all, though: where did that dance move come from? Reddit user BratwurstZ is attempting to answer this latter question through a series of videos showing the inspiration for each Hero's moves. See below for the current selection. Thanks to Owen Hill for pointing us in the direction of this essential news.